The opening figures represent a steep drop in a larger downward trend. Laika has once again made history. This time, though, it isn't due to another stop-motion innovation by the Hillsboro-based studio. 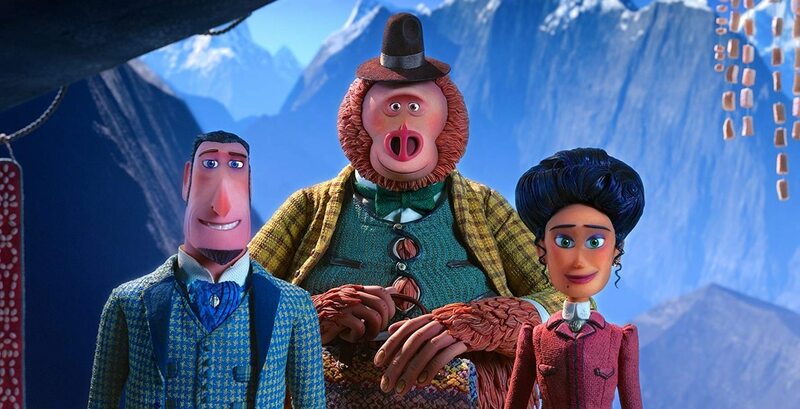 Laika's new movie, Missing Link, which wide-released last Friday, flopped at the box office. The figures aren't just disappointing—they're historically bad. Missing Link grossed $5.8 million from its opening weekend, the lowest yet for a Laika film and the lowest ever for any movie that opened in more than 3,200 theaters, according to the web site Cartoon Brew. In Missing Link, Zach Galifianakis voices a kindly Sasquatch named Susan who goes on a journey with a stuffy explorer (Hugh Jackman) to find his family. Despite poor returns, the movie has received generally positive, if lukewarm, reviews. It currently holds a 88% rating on Rotten Tomatoes. The Atlantic praised its spectacular sets and tender storytelling, while The New York Times concluded that the movie is missing "that extra touch of wit or imagination that might elevate it from a pleasant diversion to a rare sighting." Related: Laika Is the Pride of Oregon Animation, So It Only Makes Sense the Portland Art Museum Is Giving It Its Own Show. Missing Link's opening figures are a steep drop in a larger downward trend of Laika's box office results. Coraline, the studio's first movie, racked up $16 million during its first weekend, and ended up grossing more than $75 million. Each of Laika's films has grossed less than the previous release. Still, Missing Link's box office flop doesn't necessarily spell doom. The studio's previous release, Kubo and the Two Strings, grossed $12 million in its opening weekend, which, until Missing Link, was the studio's lowest-opening figure. But Kubo was still technically groundbreaking—it was the first animated film nominated for an Academy Award for visual effects in over two decades, and featured the largest stop-motion puppet of all-time. Related: A Local Animator Reflects on the Stop-Motion Process in Laika's New Film, Missing Link.